Date: Aug 10 2019, 9 a.m. - 5 p.m.
Korea's first theme park, Seoul Land, has five theme based areas and has up to 40 attractions such as roller coasters, adventure theater, laser show, shooting range, paintball arena and more! 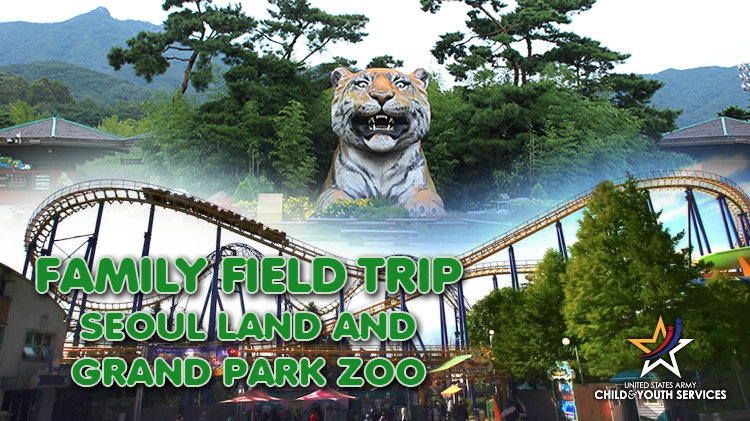 As Seoul Land was Korea's first theme park, the Seoul Grand Park Zoo is Korea's first zoo. The 10th largest in the world, this zoo is home to over 2,000 animals from 350 species from all over the world.